The 4 hour body is not just a diet which is great to lose weight, feel great and get some really impressive results; it is also a an awesome “spark” to change your eating habits while doing so. Here’s the best groceries shopping list you’ll find anywhere online. I started getting into healthy nutrition back in 2007 when after a lifestyle change I lost 100lbs. 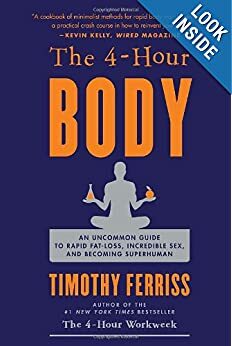 It was great to find the The 4 Hour Body because it confirmed what I had been doing for years. You can find more tools that I used here. This 4 hour body shopping list includes both foundation items and weekly items – the stuff you buy the first time you shop, and what you buy most weeks. The key is mixing all the ingredients in different ways to always have a new amazing meal. Eggs – get 3 dozens – free range, avoid “added Omega or Vitamins”, quality is key. Allow 1/2 can for 1 meal. Multiply out number of meals – usually it’s 28-3=25 meals per week. Mix between canned beans and red split lentils (1/3-1/2 cup per meal). Wasn’t this the easiest groceries list you could ever find? Not to mention how it will improve your body and well-being. 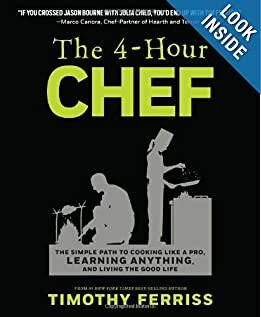 Also, a collection of readings recommended by Tim Ferriss.